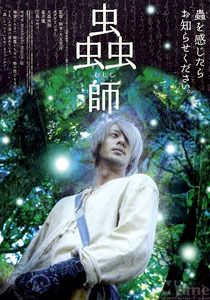 Yu Aoi Film Discussion – Mushishi – Bugmaster | personal.amy-wong.com - A Blog by Amy Wong. I’ve re-checked this review to try and have a balance between someone who didn’t know anything about Mushishi, and someone who saw the anime, and I think this review serves its purpose. Many of the things I felt weren’t properly built up, are in fact because the anime is very episode-based, and not much of a series… which I liked by the way. The anime is really REALLY great, so if you’re thinking of watching it after (or before) the film, go watch it. 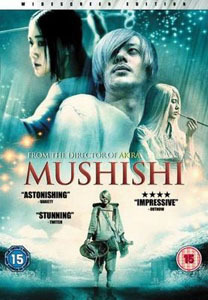 This is a 2006 Live Action adaptation of the Manga series by Yuki Urushibara, featuring ubiquitous creatures called Mushi, which most humans are incapable of perceiving. However, there are few who possess the ability to see and interact with them, one of them is Ginko who refers to himself as a Mushishi (or Bugmaster), traveling from place to place to research Mushi and help people suffering from problems caused by them. 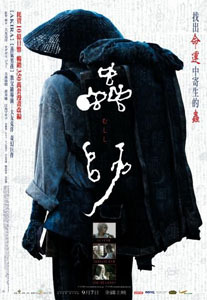 The film corresponds to chapters 2, 7, 9 and 15 of the Manga. You know the drill. Spoilers ahead, you’ve been warned. 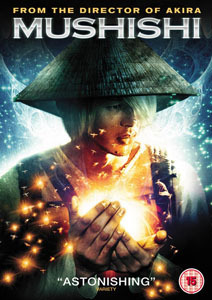 The pace of the film is quite slow, and lacks much action if that is what you are expecting from a film based on an manga/anime, but it holds its own with the concept of Mushi. If you are like me, and haven’t seen or read either, you will find yourself interested in checking them out. However, the ending of the film seems kind of flat, and anticlimactic compared to the scene between Odagiri and Yu Aoi, who plays Tanyu. I am not entirely sure of who Tanyu is in the story, but her character and the interaction between her and Ginko reminded me of my Harry Potter days (if you catch my drift). Tanyu, I think, has a faulty leg so she has trouble moving, despite her request of running away with Ginko… they both can’t be together. And their scenes after the “high point” of the film are cut short, which I think was a pity. At some point by the end, I was expecting Tanyu to show up again and sort of save the day because Ginko didn’t look his best after the incident with the Mushi. Yu did pretty good with her short screen time, and I think she did this either right before, or right after “Welcome to the Quiet Room,” because she looked skinny… which actually served well with the shots showing how creepy her limbs looked after she got Mushi-infected. My only pet-peeve would probably be the scene after she “gets better” and she seems TOTALLY fine, like nothing happened… too fine for someone who was one step too closer to the other side, if you know what I mean. Despite that, I dug that scene with the “writing on the wall” and putting that back on the scrolls. Favorite Scene: I liked that bit with Tanyu and the sticks, which kinda looked like a dance… but I will choose the scene with Tanyu looking down on Ginko’s moonlit face. I don’t think she said anything, but it was something about that moment that I liked. having watched both the anime and the film, I must say that I was quite pleased with the movie. Not sure it’s totally understandable if one doesn’t know the anime but I think the rendering of the atmosphere was good. Joe Odagiri is one of my fave male actors, so I guess it helped. Small role for Aoi Yû but she was good and looked particularly beautiful. The feeling of the film is exactly like the anime xD with a few tweaks, I could have given this nearly 4 stars~~ Anyway, it did get me to watch the anime. I thought mushis were fascinating things! And I should really look for the manga.